Germanna SGA President Jenny is determined to make a difference. She refused to give in--first to cancer, now to heart disease. After two bouts with cancer, a massive heart attack, quadruple bypass surgery and three additional heart attacks, 40-year-old Jenny Stone has stared down her mortality. “I realize tomorrow is not promised,” she said. And with that fact ever-present, she’s chosen to make the most of her time by going after her goals with determination. “It’s get up and go or sit down and die,” said Stone, who lives in the Falmouth area of Stafford County. Stone ran a catering business and relished the work, but the heart attack in 2008 that led to her bypass surgery put an end to that career. Her doctor said the long hours and the heavy lifting the job entailed were too much for her heart. That’s what led Stone to chart a new course. She enrolled in Germanna Community College three semesters ago and is now working to become a counselor so she can make a difference in others’ lives. DALLAS (FWAA) – Clemson's Daniel Rodriguez is the winner of the 2012 Discover Orange Bowl-FWAA Courage Award, as selected by a panel of FWAA members. Rodriguez, a redshirt freshman receiver from Stafford, Va., is playing for the Tigers after being awarded a Purple Heart and Bronze Star in Afghanistan. Rodriguez, who was chosen from several deserving nominees in a vote by a committee of FWAA members, will be presented the award and recognized in conjunction with the 2013 Discover BCS National Championship Game on Jan. 7. Rodriguez, 24, was wounded Oct. 3, 2009, during a battle near Kamdesh, Afghanistan, while serving in the U.S. Army. Combat Outpost Keating, in a mountainous region near the Pakistan border, was ambushed by nearly 300 Taliban insurgents. Eight Americans were killed; 22 were injured. Rodriguez was shot and wounded in the leg, neck and shoulder. Once recovered and discharged from the military, Rodriguez kept a promise to his friend, Pfc. Kevin Thompson, who was killed during the initial moments of the attack. Rodriguez had told Thompson if he made it home from Afghanistan, he would find a way to play college football. After enrolling at Germanna Community College, he began training for football. He sent a video of himself catching passes, spliced with video he'd shot during combat, to four-year schools. Clemson coach Dabo Swinney offered Rodriguez a spot on the team. Anita Newhouse didn't believe she was college material. She was wrong. She says she came up with every excuse she could think of not to enroll at Germanna Community College. 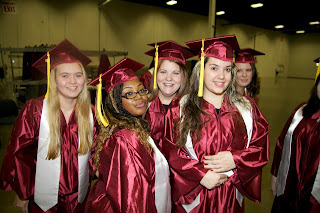 Go to The Free Lance-Star's coverage of GCC's 2012 Fall Commencement. Newhouse, who was Germanna Community College's 2012 Fall Commencment speaker on Dec. 17, was 29 years old when she started at GCC. Her goal was to earn a bachelor’s degree by the time she was 40. She did it in half that time, graduating from the University of Mary Washington when she was 34. Now, at 36, the Lignum resident is manager of Germanna’s Welcome Center at the Daniel Technology Center in Culpeper, which brings together counseling, financial aid and admissions resources to help students in that area find the answer to any questions they have, overcome any doubts they have, and get off to a flying start. She says she can identify with “the hesitation, the anxiousness, the worry and the fear” some students feel as they enter college. On the 75th anniversary of the birth of the author of the Pulitzer Prize–winning novel ‘A Confederacy of Dunces,’ John Kennedy Toole’s biographer Cory MacLauchlin, the writer of ‘Butterfly in the Typewriter: The Tragic Life of John Kennedy Toole and the Remarkable Story of “A Confederacy of Dunces,”’ tells us about the warning signs that lead up to the suicide of one of America’s strangest literary geniuses. An uneasy silence fell over the hot classroom as students stared at Professor Toole drawing feverishly on the blackboard. It was the fall of 1968, the first day of class at Dominican College in uptown New Orleans. The students, awaiting his usual charming smile, could tell something was wrong. Placing the chalk down, the 30-year-old English professor turned to face the class, revealing the bold white lines of a Doomsday Clock, the iconic quarter face of the Cold War era measuring how close humanity comes to self-destruction. Everyday thereafter, in a somber ritual that no student understood at the time, Toole redrew the hands of the clock a bit closer to midnight. Six months later he was found dead in his car on the side of the road, a garden hose attached to the exhaust pipe. After the eulogies were said and sympathy cards sent, his legacy would have surely slipped into obscurity. No one expected him to become a celebrated novelist, especially since he was unpublished at the time of his death. But in 1980, John Kennedy Toole’s A Confederacy of Duncesflew off bookshelves. The fictitious tale of the fat medievalist Ignatius Reilly, plotting social revolution while selling hot dogs in the French Quarter of New Orleans, was hailed as a comic masterpiece and won the Pulitzer Prize. The immense popularity of the book left readers hungry for more information on the author. They speculated why a man of such promise and talent would end his life so rashly. Some concluded his literary labors must have exhausted his will to live. Or perhaps he crumbled under the weight of cruel rejections from heartless publishers. The dunces must have been in a confederacy against him. But that clock he drew on the board in 1968 tells a far darker story, one that challenges our notions of what the moments before a suicide look like and how he proceeded with cool measure towards his own demise. It tells the story of a quiet crisis grinding away behind a stalwart face. In the foreword to A Confederacy of Dunces, Walker Percy notes that a sense of sadness underlies the humor of the novel: “The tragedy of the book is the tragedy of the author—his suicide in 1969.” Henceforth, Toole’s death has been so closely linked to the novel that it’s difficult to imagine him apart from his end. But by all accounts he was a rather blithe spirit: witty, intelligent, a wonderful dancer, and a talented mimic. In fact, when he returned home from the Army in 1964, Confederacy manuscript in hand, he was at his artistic prime, and he had complete confidence in his plan. He would teach at Dominican to pay the bills and edit his manuscript until it was ready for submission. But he also walked into a stifling living situation. He lived in a cramped apartment with two aging parents. His father was near senility, his mother was overbearing, and the household was in financial straits. Lines like these reached not only Toole, but also his mother. On occasion, and with her son’s friends in audience, Thelma Toole would read Gottlieb’s letters aloud and then respond in a tirade against “those fools in New York” who knew nothing of art and culture. She defended her son’s genius while he sat quietly on the couch, his shortcomings echoing off the walls of the apartment he paid for. Toole decided he could no longer revise the book, so one day he quietly tucked the manuscript away in a box. She was left with an aching desire to turn back time and stop the progression of that clock. Toole arrived at the same conclusion. As the fall semester of 1968 came to an end, and the Doomsday Clock in his classroom at Dominican neared midnight, tension in the Toole home escalated. After the holidays Toole had a fight with his mother and left New Orleans. Nobody knows for sure where he went, but he spent two months on the road, ending his final journey just outside Biloxi, Miss., where he quietly unwound a garden hose and started the ignition. Dressed in his gray suit, he sat in stillness as the noxious fumes billowed into the cabin of his blue Chevy Chevelle. When Marti Luke, one of his students at Dominican, got news of his death, she immediately thought back to the clock. His final hour was right there on the board, but nobody had recognized it. And like many of his friends and acquaintances, Luke wished she would have done something to help Toole. She was left with an aching desire to turn back time and stop the progression of that clock. That guilt haunted her for decades. Many of Toole’s friends expressed a similar regret—maybe just one more phone call, one more letter. Suicide has a way of casting a long shadow. And yet, in my conversations with his friends and acquaintances, they repeatedly focused on Toole’s brilliance, wit, and perceptive observations of the human condition. Luke’s resolution over the death of Toole finally came when she played the part of Irene Reilly in the 1993 stage adaptation of A Confederacy of Dunces. At the end of each show, a photo of Toole was projected onto a screen above the stage. One night, she noticed how the large black-and-white image of her dear professor illuminated the dark auditorium and shined onto the smiling faces of the audience. It seemed as if time stood still and the tragedy of his end dissolved into the light. Despite the August 2011 earthquake that resulted in the closing of the V. Earl Dickinson Building for repairs, Germanna Community College was among the Top 50 fastest-growing two-year colleges in America for 2010-2011, according to the latest rankings compiled by Community College Week. GCC ranked 45th in the nation with a 2.6 percent increase in enrollment comparing Fall 2010 and Fall 2011, climbing by 197, from 7,582 to 7,779. The Dickinson Building is reopening now and will be fully operational in January 2013 for the beginning of the spring semester. Germanna President David A. Sam said the ranking shows the college continued to serve the community without missing a beat despite the quake. The increase in enrollment that semester also bucked national trends in enrollment, which were beginning to reflect a downturn. 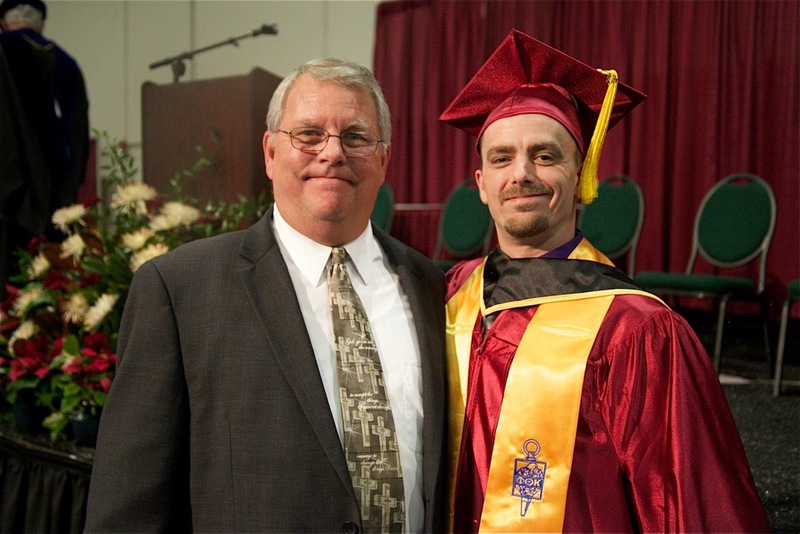 Two other members of the Virginia Community College System were in the top 50. Lord Fairfax Community College, based in Fauquier County, was 32nd and Piedmont Virginia Community College in Charlottesville was 47th.